Hot off the presses and onto the interwebs, yet another batch of images for Rogue One: A Star Wars Story have found their way online, this time offering a peek behind the scenes of Gareth Edwards’ militaristic spinoff. Arguably the most interesting pick of the bunch is the still image of a helicopter capturing the maritime action as a small squadron of Rebel fighters storm the beach. 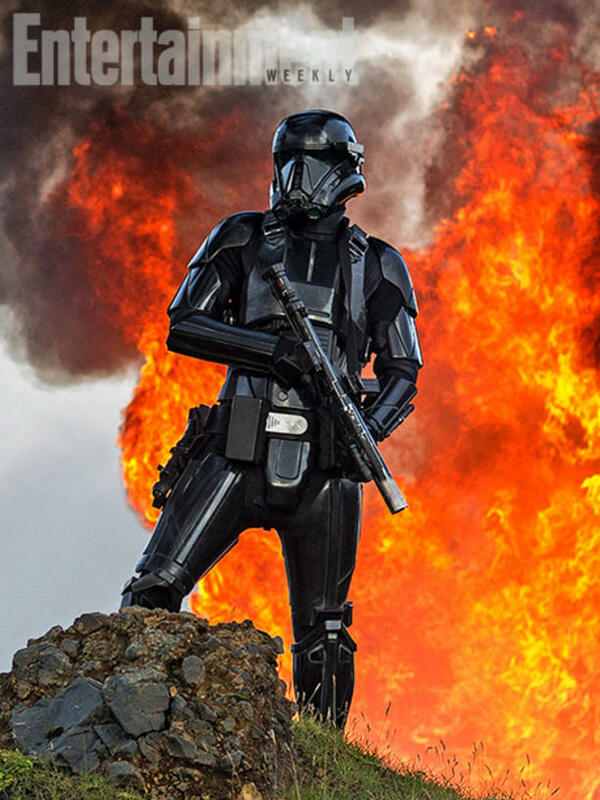 Doubling down on relatively low-key battle sequences, Entertainment Weekly notes that Edwards is adopting an approach that injects a visceral intensity to Rogue One that we arguably haven’t seen in the Star Wars universe to date. In related news, EW also quizzed Edwards about those hotly contested reshoots. Singing from the same hymn sheet as Mads Mikkelsen, the filmmaker conceded that overhauling a handful of scenes was always in the cards, and the entire process was blown out of proportion. Whatever way you come down on the matter, Edwards’ ragtag crew of outlaws and bandits consists of Jyn Erso (Felicity Jones), Baze Malbus (Jiang Wen), Rebel fighter Bodhi Rook (Riz Ahmed), Alan Tudyk’s droid K-2SO, and the villainous Imperial leader Orson Krennic (Ben Mendelsohn). There’s also roles for Mads Mikkelsen as Jyn’s father and James Earl Jones, returning in his iconic role of Darth Vader. Rogue One: A Star Wars Story – phase two of Lucasfilm and Disney’s franchise revival – will make a beeline for theaters on December 16.